According to the constitutional court a delayed disciplinary process could mean that senior management acted unfairly even if the reason for dismissal was valid and fair. From the unanimous judgment is seems that even reinstatement could be ordered but the decision remains discretionary. A disturbing judgment discussed in more detail below. “Thus, this raises the question whether the arbitrator’s finding that the dismissal was substantively fair falls within the “band of reasonableness” to which a reasonable decision-maker could arrive at on the available material? In the context of this case the answer must be in the affirmative. On her own version, the applicant was under no illusion that in awarding the contract to her spouse she was acting irregularly in wanton disregard of departmental prescripts. Thus the arbitrator’s conclusion that “officials with a direct or indirect interest in the awarding of a contract [were required] to (a) disclose their interest, and (b) obtain prior permission from the Head of the Department before contracting with the Department”, although not beyond criticism, was not so unreasonable as to render her decision one that a reasonable arbitrator, acting carefully and paying due regard to the substance of the charge against the applicant, could not have reached. A delayed disciplinary process means the State as employer failed to prove dismissal was fair procedurally despite substantive fairness. (CCT33/18)  ZACC 3 (7 February 2019). Allowed the appeal and set aside the order of the labour court (Lallie J) dated 19 February 2016 and substituted with an order to the effect that the dismissal of the applicant [on 22 June 2011 concerning an incident in August 2009] by the Department of Education of the Eastern Cape Province was procedurally unfair and remitted the matter to the labour court (?) to determine an appropriate remedy. It was only on 14 February 2014 that the employer dismissed the applicant’s appeal and her dismissal actually took effect. In other words, she remained employed and was paid from August 2009 until February 2014 even though the constitutional court upheld the reason for her dismissal as being valid and fair. Labour Law Through The Cases – loose-leaf service updated 6 monthly (LexisNexis 2019) LRA s 193 and 194. Woolworths (Pty) Ltd v South African Commercial, Catering and Allied Workers Union  ZALAC 54; (2017) BLLR 1217 LAC at para 22. It is said that ‘hard cases make bad law’. The applicant is no stranger to litigation. In March 2005 the applicant challenged the refusal or failure to promote her and received a labour court judgment in her favour appointing her to a level 4 position within the Nelson Mandela Metropole, with the Provincial Education Department paying the costs. See Stokwe v MEC, Department of Education Eastern Cape Province (LP131/03 , P131/03)  ZALC 2;  8 BLLR 822 (LC);  JOL 14331 (LC) (23 March 2005). The applicant was subsequently employed by the Department as the Deputy Chief Education Specialist in the Learners with Special Needs Education section in the Uitenhage District Office. After alleged misconduct during August 2009 a disciplinary process was initiated which culminated in her dismissal (presumably summarily) nearly 5 years later. The bargaining council made an award on 20 August 2014 finding that her dismissal was substantively and procedurally fair and the labour court on review rejected her attempted review of that award on 19 February 2016. see Stokwe v MEC: Department of Education, Eastern Cape (PR235/14)  ZALCPE 8 (19 February 2016). Not only the labour court but also the labour appeal court refused her leave to appeal and so it ended up in the constitutional court with a unanimous judgement being delivered today effectively overturning the dismissal, but only on procedural grounds. The suggestion seems to be that the unfair procedure seriously impacted the fairness of the entire process and that reinstatement could be a distinct possibility. Many important issues were discussed and eventually it was decided to remit the matter to the labour court to decide what to to do about the unfair procedure adopted by the employer despite the finding that the reason for dismissal was both valid and fair. Given the actual issues in dispute it is not clear how much of the judgment will be regarded as binding as it is suggested that there are some serious flaws in the reasoning and even, with the greatest respect, the underlying legal principles. but surely the word sanction is misplaced as it suggests some form of punishment and is unrelated to the impact that the conduct has on the future need for trust and confidence? the constitutional court may have hinted that reinstatement was a distinct possibility? why was the matter remitted to the labour court and not the bargaining council ? It will interesting to discover what others think of the latest judgment and what it means for the interpretation and application of employment law in the future. For what it is worth management should have presented the employee with the facts and allowed her the right to respond and then the reason for dismissal could have been valid and fair but in the absence of gross misconduct she should not have forfeited her right to reasonable notice pay and even an ex gratia severance payment. As matters now stand the provincial education department faces the distinct prospect of her retrospective reinstatement to 2014 with back-pay for procedural as distinct from substantive unfairness. We all have a lot to think about and must ensure that we know and understand the true legal principles. This is an application for leave to appeal against the judgment of the Labour Court which dismissed the applicant’s application to review and set aside an award of a bargaining council. The bargaining council held that the applicant’s dismissal was substantively fair. The applicant was dismissed by the Department of Education, Eastern Cape (Department) for awarding a service contract to her spouse without the requisite approval and consent in breach of her employer’s policy prescripts. The applicant was ultimately dismissed more than five years after the misconduct. The applicant was denied leave to appeal both by the Labour Court and the Labour Appeal Court. This case was determined without an oral hearing, after the Court invited the parties to submit written arguments, which they did. The applicant, Ms Thandiwe Cynthia Stokwe, is an erstwhile employee of the Department. She was not attached to a specific school, but based at a departmental office. The applicant is, in terms of the Employment of Educators Act (EEA), deemed an “educator”. The terms of her employment, including its termination, are regulated by the EEA. The first and second respondents are Members of the Executive Council and the Head of the Department respectively, cited in their official capacities. The first respondent dismissed the applicant’s internal appeal against her dismissal. The second respondent is cited in her capacity as the official responsible for day to day administration of the Department. The third respondent is the Education Labour Relations Council, the bargaining council under whose auspices the impugned award of 20 August 2014 was issued. The fourth respondent is Mr Thando Qotoyi, cited in his official capacity as a panellist of the third respondent who delivered the impugned award. The applicant was employed by the Department as the Deputy Chief Education Specialist in the Learners with Special Needs Education section in the Uitenhage District Office. In January 2008, the Chief Education Specialist, Mr Piet Spies, fell ill and the applicant temporarily stepped into his position as the Co-ordinator of the Scholar Transport Section. During Mr Spies’ absence, in August 2009, one of the transport providers contracted to the Department unilaterally terminated their services with immediate effect. This created an emergency which meant that if the transport provider concerned was not replaced, some learners would not have transport to convey them to school the following day. This situation would remain until a suitable replacement was found. Consequently, the applicant approached her spouse, who was the director of a transport company, and awarded a “temporary” service contract to his company. His company rendered transport services to the Department for a period of four months until a new service provider was appointed pursuant to a tender process. His company, however, was not registered as a service provider with the Department, while various other service providers were available. It is common cause that the applicant had declared the temporary award of the contract to her spouse’s company to Human Resources in accordance with the requisite procedural prescripts. However, she did not receive permission from the Head of Department to make the award. It is alleged that you are guilty of misconduct as contemplated in section 18(1)(a) in that you, ‘failed to comply with or contravened this Act or any other statute, regulation or legal obligation relating to education and the employment relationship;’ when in or around August 2009, you approved a service provider, Dikela Tours & Distribution Services. It later came to light that this company is registered in the name of your husband, Mr. VM. Stokwe. It is alleged that you are guilty of misconduct as contemplated in section 18(1)(b) in that you ‘Wilfully, intentionally or negligently mismanage[d] the finances of the state, a school or an adult learning centre,’ by approving a service provider, Dikela Tours & Distribution Services who is registered in your husband’s name, Mr. VM. Stokwe. It is alleged that you are guilty of misconduct as contemplated in section 18(1)(f) in that you ‘unjustifiably prejudice[d] the administration, discipline or efficiency of the Department of Education, an office of the State or a school or adult learning centre;’ by contravening the PFMA and the Treasury Regulations that governs the use of service providers. Her disciplinary hearing was initially scheduled for 12 August 2010, but was ultimately held on 30 March 2011. On 22 June 2011, the Department addressed a letter to the applicant, informing her that she had been found guilty of charges 2 and 4 and that she was accordingly dismissed. Although this is not entirely clear, it would appear that the applicant received this letter sometime between 22 June and 17 August 2011. She then requested reasons for the decision and also noted her internal appeal against the dismissal. Item 8(4) of Schedule 2 of the EEA provides that a sanction may not be implemented pending the outcome of an appeal. Consequently, the applicant was retained. However, she was shifted from the section that was responsible for administering scholar transport. On 17 October 2011, the applicant again caused a letter to be sent to the Department requesting reasons for her dismissal. The Department acknowledged receipt of the letter but did nothing more. Radio silence ensued until the applicant, now for a third time, requested reasons for her dismissal on 6 March 2013. In this letter the applicant’s attorney pertinently indicated that they regarded the employer’s dilatory conduct in finalising the appeal process to mean that the Department had abandoned their right to discipline the applicant. Yet again, on 3 May 2013, the applicant’s attorney wrote to the Department reiterating their request and their recordal that the Department had abandoned the disciplinary action. Only on 5 December 2013 – more than two years after their last communication to the applicant – did the Department revert, and even then merely by attaching a partial excerpt of the reasons for her dismissal as provided by the presiding officer. It is apparent from the excerpt that the basis for the dismissal was her “bad faith” and that “she [had] overstepped her boundaries in terms of the code of conduct”. Finally, on 14 February 2014, the first respondent dismissed the applicant’s appeal, and the sanction of dismissal then took effect. Aggrieved by the outcome of her internal appeal, the applicant referred a dispute impugning the substantive and procedural fairness of her dismissal to the third respondent, the Education Labour Relations Council. The matter was set down for arbitration on 4 August 2014. Mr Qotoyi was appointed to arbitrate the dispute. second, the dismissal was substantively and procedurally unfair. The applicant’s main submission concerning the abandonment of the disciplinary process was premised on the extensive delay between the dismissal and the finding on appeal and her continued employment. The Department argued that her continued employment was in consequence of item 8(4) of Schedule 2 of the EEA which precluded it from implementing the sanction pending the decision on appeal. The Department also contended that, even though the sanction was not implemented, she was removed from her previous role in the Scholar Transport Section. The arbitrator accepted this premise. The arbitrator took cognisance of the fact that the three years taken by the Department in dealing with and disposing of a labour dispute is an inordinately long delay. However, the arbitrator found that any prejudice that the applicant may have suffered was ameliorated by the fact that she was gainfully employed throughout. The arbitrator held that the applicant’s argument that the Department had abandoned the appeal process had to fail in light of the Department’s reliance on item 8(4) of Schedule 2 of the EEA. (b) to obtain prior permission from the Head of Department. The applicant faltered on the second hurdle – she failed to obtain the requisite permission. This failure, the arbitrator held, was egregious as she was “the guardian and custodian” of the policy as the Co-ordinator of Scholar Transport. The benefit to her husband was also not negligible – he received almost R300 000 in service fees. Finally, the applicant also admitted that her decision to appoint her spouse was to ameliorate his dire financial situation, exacerbated by his unemployment. The arbitrator found that the applicant’s conduct seriously and negatively impacted upon the trust relationship with the Department. (c) the harm caused by the employee’s conduct. The arbitrator found that nothing in the formulation of charges 1 or 2 described conduct that is inherently outlawed and thus the applicant could not be found guilty on those charges. He also found that the applicant could not be guilty of charge 3 given that she cannot be convicted of contravening a rule of which she was unaware. However, the applicant was found guilty of charge 4 for failing to adhere to the Revised Guidelines. Dismissal for this contravention was found to be a fair sanction given the seriousness with which the contravention of the policy was viewed: several memoranda concerning its contents and the importance of compliance therewith were circulated. Furthermore, the fact that the applicant was in a position of trust and abused that trust to advance her own interests breached the relationship of trust between her and her employer. The arbitrator concluded that the dismissal was substantively fair. The award is silent on procedural fairness. This despite the fact that it is clear from the award that the applicant had also raised procedural fairness as an issue, and that the arbitrator had considered it and made a finding. The applicant turned to the Labour Court to have the arbitration award reviewed and set aside. She approached the Court on the basis that the arbitrator had misunderstood the Revised Policy and overlooked the Department’s delay in finalising the disciplinary process. She reiterated that the Department abandoned the disciplinary procedure against her, and that her dismissal constituted a fresh repudiation of the employment agreement. She further submitted that the Department should be estopped from relying on the letter of February 2014 in which the dismissal was communicated to her. The respondents – now consisting of the first to fourth respondents, and not just the Department – opposed the application on the grounds that the award was reasonable. They submitted that the applicant had conceded that her motive for awarding the contract to her spouse was to benefit him. Consequently, the relationship of trust had broken down irreparably. Concerning the delay, they submitted that the applicant was not prejudiced: the delay was not excessive and that there was, in any event, no prescribed time limit to finalise disciplinary proceedings. The respondents sought to explain the delay as being reasonable on the basis that the National Government had intervened in the administration of the Department. The Labour Court held that the arbitrator “recorded, correctly, that he had to determine the substantive and procedural fairness” of the dismissal. The court also considered the arbitrator’s determinations of substantive fairness and found it to be within the spectrum of reasonableness. Turning to the applicant’s reliance on estoppel, the court found that it was ill-conceived and could not be relied upon to make what is unlawful, lawful. In addition, the Labour Court held that the arbitrator correctly understood the Revised Guidelines. The Labour Court also held that the arbitrator was correct in his finding, and that a dismissal was an appropriate sanction. Thus, it dismissed the review application. The Labour Court, as well as the Labour Appeal Court refused leave to appeal. The applicant approached this Court on the same grounds as set out in her application to the Labour Court, namely that the award falls outside the bounds of reasonableness and should therefore be set aside. (c) the Department’s abandonment of its disciplinary proceedings against her. Issues (b) and (c) are interrelated. The applicant reiterates that clause 11.2.1 of the Revised Policy applies only if the governmental employee is appointed as a service provider, and not when such employee awards a service contract to someone else. The reason why permission instead of a declaration is required stems from section 30 of the Public Service Act which requires an employee in the public services sector to obtain permission before obtaining other remunerative work. Clause 11.2.1 was not breached, because on an ordinary grammatical reading of the clause, permission is required only where the governmental officer signs a contract as a transport provider. But the applicant’s spouse is not a governmental officer. In this Court, only the first and second respondents have participated in the proceedings. The third and fourth respondents have elected to remain supine. For convenience, I shall refer to the first and second respondents as the respondents. The respondents concede the point relating to clause 11.2.1 in their written argument. Instead, the respondents now purport to base the finding of the applicant’s transgression on a violation of clause 12.3.7 and, additionally, a violation of the Public Finance Management Act (PFMA). But they have not identified the provision of the PFMA they contend was transgressed. (b) the delay was not consonant with the Labour Relations Act (LRA). The applicant highlighted that her employment and dismissal were regulated by the EEA. The EEA distinguishes between serious misconduct (section 17) and misconduct generally (section 18). However, regardless of the classification of the misconduct, the EEA provides that whenever it is alleged that an educator has committed serious misconduct or misconduct generally, the employer must institute disciplinary proceedings in accordance with the disciplinary code and procedures contained in Schedule 2 of the EEA. (a) It is guided by the principles that discipline must be applied in a prompt, fair, consistent and just manner, and that disciplinary proceedings must be concluded in the shortest possible time frame. (b) The disciplinary hearing must be held within ten working days after the notice setting out the charges is delivered to the educator. (c) An educator may appeal against the finding of the chairperson to the Minister or Member of the Executive Council of Education, but Schedule 2 does not fix a specific time-frame as to when the outcome of the appeal is to be communicated. However, the Education Labour Relations Council provides for a 45-day window in which an appeal is to be decided. The applicant relies on Riekert in which the Labour Court held that where an employer does not comply with its own disciplinary procedures it has a duty to justify non-compliance, and, having regard to all the relevant circumstances, establish that the procedure was still substantially fair, reasonable and equitable. The respondents submit that disciplinary codes serve as a guide, and not rigid rules, on how disciplinary proceedings are to be conducted. The EEA prescribes no time-frames for an appeal. The respondents accept that they should ordinarily be guided by the underlying principle that disciplinary proceedings must be concluded in the shortest possible time-frame. However, they assert that the reason for the delay was that as of April 2011 the Department was placed under administration following an intervention by National Government in terms of section 100 of the Constitution. The respondents explain the nature and scope of the intervention as including that the “Minister of Education, acting on behalf of the National Executive, [being] mandated [to] take over all the statutory obligations and functions of provincial authorities including those regulated by the EEA”. The intervention was also to address systemic challenges relating to administration. The applicant, in counter, submits that section 100(1) applies only to executive obligations of a province. It does not apply to administrative functions such as disciplinary hearings. She also highlights that this was raised for the first time before the Labour Court which accepted it without any interrogation. The applicant also argues that the delay subverts the objective of the LRA which is to promote the effective resolution of disputes. In this regard, she relies on several cases where a delay in finalising disciplinary proceedings led to a finding of procedural irregularity. The impact of the delay, so the argument goes, was that it engendered a legitimate expectation that the disciplinary proceedings had been abandoned. The applicant relied on Moroenyane in support of the contention that an undue delay in finalising disciplinary proceedings can manifest a waiver of the right to discipline the employee. The usual requirements of waiver are still to be met: i.e. a party fully knew what its rights were and acted so as to leave no reasonable doubt that it intended to surrender the right. She submits that the inexplicable and inordinate delay, coupled with her continued right to work, serves as a clear indication that the Department abandoned its right to discipline her. For their part, the respondents argue that they immediately implemented the sanction, once it became final, and this leaves no room for doubt that the trust relationship between the parties broke down irreparably and that they have always evinced a clear intention to pursue this matter. The respondents rely on the applicant’s removal from the transport programme as indicative of a breakdown in the trust relationship. The respondents argue that this application does not engage this Court’s jurisdiction. On the contrary, the applicant submits that her right to fair labour practices as enshrined in section 23(1) of the Constitution has been violated. Certain sections of the LRA are of application in deciding this matter – albeit not clearly identified in her affidavit, namely sections 1, 185, 188 and Schedule 8 of the LRA. Nevertheless, the thrust of the applicant’s case clearly invokes these statutory provisions. The Code of Good Practice is located in Schedule 8. Accordingly, this Court’s constitutional jurisdiction is engaged. In order to obtain leave to appeal in this Court the applicant must demonstrate that it is in the interests of justice to grant leave. In reaching that conclusion this Court must also have regard to the prospects of success. This application concerns an unfair dismissal claim. The loss of a job can adversely and severely impact the dignity of a person and their livelihood. In Sidumo this Court held that “security of employment is a core value of the Constitution which has been given effect to by the LRA”. In addition, this matter raises an issue relating to an inordinate delay in concluding disciplinary proceedings and its bearing on the fairness of the disciplinary procedure and dismissal – a question that has not been considered by this Court before. Moreover, in NEHAWU, this Court held that whilst it will not necessarily hear all appeals emanating from the Labour Appeal Court simply because they involve the proper interpretation of the LRA, it will do so if the appeal raises “important issues of principle”. This matter is, to my mind, such a case. NEHAWU has been followed by subsequent decisions of this Court. This case also enjoys reasonable prospects of success — as will become apparent later. Accordingly, the interests of justice dictate that leave to appeal ought to be granted. The application for leave to appeal was due to be lodged with this Court on 7 September 2017. It was only lodged on 13 January 2018. The delay is not negligible. However, by way of explanation, the applicant submits that because of her impecuniosity she experienced financial impasse with her erstwhile attorneys at the time of receiving the Labour Appeal Court’s order refusing leave to appeal. Her new attorneys had difficulties in obtaining her file from the previous attorneys, and she was compelled to look elsewhere for legal representation and secured the services of pro bono counsel to mitigate her financially precarious situation. The respondents’ answering affidavit was filed 23 days out of time. The respondents submit that the applicant effected service of her application at the wrong office. This, coupled with their counsel’s temporary indisposition and the fact that there was a document that had to be sourced elsewhere were some of the reasons proffered for the delay. In addition, the applicant also filed her written submissions four days out of time. She cites travel costs and the importance of the need for her legal team to be fully briefed on certain aspects of the Department’s disciplinary procedure as the cause of the delay. Having weighed up the relevant factors, the interests of justice dictate that condonation to both the applicant and the respondents should be granted as none of the parties has suffered prejudice as a result of the delay. A party who is dissatisfied with the outcome of the arbitration can review the award. In Bato Star Fishing the standard for review was enunciated in the following terms: is the decision reached by the commissioner one that a reasonable decision-maker could not reach? In Sidumo this Court endorsed this test and said: “Applying [the test] will give effect not only to the constitutional right to fair labour practices, but also to the right to administrative action which is lawful, reasonable and procedurally fair”. In determining whether the arbitrator’s award is reviewable, the substantive fairness of the applicant’s dismissal is pertinent. Here, it is necessary to have regard to what the essence of the charges proffered against the applicant entailed. Put more simply: which rule(s) was she alleged to have breached? As already mentioned, the applicant was found guilty of charges 2 and 4. During the arbitration proceeding and after the arbitrator commented on the lack of clarity of the charge sheet, the finding of guilt based on charge 2 was overruled (and the finding of not-guilty on charge 1 sustained). The arbitrator then considered charge 3 which amounted to a charge of unjustifiably prejudicing the administration, discipline or efficiency of the Department by contravening the PFMA and relevant treasury regulations initially highlighted by Mr Spies. The arbitrator held that the applicant was not aware of the relevant rules and could therefore not be found guilty of contravening these rules. Relying solely on clause 11.2.1 of the Revised Policy, the arbitrator found the applicant guilty. On review before the Labour Court, only the applicability of this rule was considered. After the applicant mounted a persuasive argument against the applicability of clause 11.2.1 to her conduct before this Court, the respondents acknowledged that “[c]lause 11.2.1 makes provision for a departmental officer to sign a contract as a transport provider”, and that the “applicant was not the transport provider per se”. Thus, in essence, conceding the argument that the clause in question was inapplicable to the situation where the applicant awarded the service contract, rather than render the services herself. Faced with this difficulty, the respondents changed tack and sought to invoke the PFMA and the Treasury Regulations, and clause 12.3.7. It is manifest from what is set out in the preceding paragraph that clauses 11.2.1 and 12.3.7 regulate different, albeit interrelated, situations. The former permits a departmental officer, like the applicant, to sign a contract as a transport provider under certain defined circumstances. The latter imposes an embargo on a principal or educator from benefitting, directly or indirectly, from a transport subsidy system where there is no alternative transport available or no one is prepared to render the service. In the arbitration award, the arbitrator notes: “That Ms Stokwe disclosed her interest is not in dispute. Copies of the declaration forms were submitted as evidence.” This raises several questions to which the facts provide no answers. Was this declaration of the same form as intended in clause 12.3.7? Did she then comply? Was it even possible for the applicant to submit a declaration and have it authenticated by the school’s principal, school governing body and the circuit manager, given that she was not stationed at a school? Does this authentication requirement apply nonetheless? It is impossible to tell, and the applicant was not afforded an opportunity to raise any of these issues, or potential other issues, given that her disciplinary action was based on a violation of clause 11.2.1. In De Klerk the then Industrial Court held that a charge must contain “sufficient particulars to enable the applicant to answer them in the proper manner”. “It was sufficient that the wording of the misconduct alleged in the charge-sheet conformed, with sufficient clarity so as to be understood by the employee, to the substance and import of any one or more of the listed offences.” (emphasis added). Thus, this raises the question whether the arbitrator’s finding that the dismissal was substantively fair falls within the “band of reasonableness” to which a reasonable decision-maker could arrive at on the available material? although not beyond criticism, was not so unreasonable as to render her decision one that a reasonable arbitrator, acting carefully and paying due regard to the substance of the charge against the applicant, could not have reached. Accordingly, the arbitrator did not, on the facts of this case, reach an unreasonable decision to warrant interference by this Court in relation to the aspect of substantive fairness of the dismissal. The conclusion that the dismissal is substantively fair is not dispositive of the matter. It remains necessary to determine whether the dismissal was procedurally fair. It is to that question that I now turn. A dismissal should be procedurally, as well as substantively, fair. The LRA espouses speedy resolution of labour disputes. And so does the EEA which provides that the principles underlying any procedure to discipline an educator include that discipline should be prompt and fair, and that disciplinary proceedings “must be concluded in the shortest possible time frame”. The applicant’s misconduct occurred in August 2009. She received the final determination on appeal only in February 2014 (five months short of five years). The misconduct was discovered by Mr Spies, reported to his superior, drawn to the applicant’s attention and then responded to by the applicant, all of which happened before the end of September 2009. Yet, the applicant was charged only in June 2010. Item 7 of Schedule 2 of the EEA provides that: “[t]he disciplinary hearing must be held within ten working days after the [notice containing the charges] is delivered to the educator.” Despite this, the applicant’s disciplinary hearing took place on 30 March 2011 – almost nine months later. Given the lackadaisical approach adopted by the employer in prosecuting the charges, it is not surprising that the appeal – which was lodged in August 2011 – was decided only in February 2014. True, initially the applicant did not rely on the delay to institute disciplinary proceedings or hold a disciplinary hearing for her assertion that her dismissal was procedurally unfair. However, these factors do provide a background when the delay in deciding her appeal is to be judged. The nub of her complaint is the delay in deciding her appeal. The requirement of promptness not only extends to the institution of disciplinary proceedings, but also to their expeditious completion. If an employee is retained in employment for an extended period after the institution of disciplinary action, it may indicate that the employment relationship has not broken down. An appeal procedure is a separate facet of the disciplinary procedure and must be conducted with the same degree of alacrity for procedural fairness to be fulfilled. First, is that the delay, coupled with the insufficient explanation by the Department, is procedurally unfair according to the internal disciplinary procedure of the Department, as well as according to the general understanding of procedural fairness under the LRA. Second, that the Department’s conduct amounted to a waiver of its right to discipline her. These are dealt with in turn below. In Toyota SA Motors this Court observed that “[a]ny delay in the resolution of labour disputes undermines the primary object of the LRA”. This also accords with the general principles of how delay impacts the fairness of disciplinary proceedings. The question whether a delay in finalisation of disciplinary proceedings is unacceptable is a matter that can be determined on a case-by-case basis. There can be no hard and fast rules. Whether the delay would impact negatively on the fairness of disciplinary proceedings would thus depend on the facts of each case. In Moroenyane, the Labour Court considered factors which this Court initially propounded in Sanderson in the context of assessing delays in criminal prosecutions, and applied those factors to determine what constituted an unfair delay in the context of disciplinary proceedings. “(a) The delay has to be unreasonable. In this context, firstly, the length of the delay is important. The longer the delay, the more likely it is that it would be unreasonable. (b) The explanation for the delay must be considered. In this respect, the employer must provide an explanation that can reasonably serve to excuse the delay. A delay that is inexcusable would normally lead to a conclusion of unreasonableness. (c) It must also be considered whether the employee has taken steps in the course of the process to assert his or her right to a speedy process. In other words, it would be a factor for consideration if the employee himself or herself stood by and did nothing. (d) Did the delay cause material prejudice to the employee? Establishing the materiality of the prejudice includes an assessment as to what impact the delay has on the ability of the employee to conduct a proper case. (e) The nature of the alleged offence must be taken into account. The offence may be such that there is a particular imperative to have it decided on the merits. This requirement however does not mean that a very serious offence (such as a dishonesty offence) must be dealt with, no matter what, just because it is so serious. What it means is that the nature of the offence could in itself justify a longer period of further investigation, or a longer period in collating and preparing proper evidence, thus causing a delay that is understandable. Thus the national government’s intervention in the affairs of the Department under section 100 of the Constitution did not divest the first respondent of his appellate disciplinary powers. What is striking is the Department’s failure to provide any explanation for the delay before the arbitrator. This is then followed up by a brief explanation in the Labour Court which was accepted at face value without interrogation. It bears emphasising that the EEA itself provides that disciplinary proceedings must be completed in the shortest possible time-frame. This is the internal standard to which the Department is bound. Whilst failure to follow an internal disciplinary code is not in itself fatal, it remains a relevant factor in determining its impact on the fairness of the process. On this score the remarks of the Labour Court in Stokwe are particularly apt. It is beyond question that the applicant’s disciplinary process was not completed within the shortest possible time-frame given the excessive delay which remains essentially unexplained by the Department. The Department failed the applicant at every turn. It failed to provide adequate reasons for her dismissal and it did not respond to her letters enquiring as to the status of her appeal. It is also telling that this was not even mentioned in the arbitrator’s award. Unsurprisingly, the Department puts great store on the fact the applicant suffered no prejudice as she was still gainfully employed during this period. However, the applicant submitted that the delay has had a concrete impact on her disciplinary process: the appeal procedure allows for the MEC to call for a record when an appeal is lodged and invite further submissions. Thus, the fact that the sanction of dismissal was not implemented whilst the outcome of the appeal was still awaited does not detract from the fact that the applicant, in the meantime, faced an uncertain future. This factor had a negative impact on the procedural fairness of the process. All things considered, it cannot be that the arbitrator was reasonable in finding that the applicant’s dismissal was not procedurally unfair. The applicant also argues that the Department’s dilatory conduct meant that it had waived its right to pursue disciplinary proceeding against her. This, she asserts, would have the effect of vitiating her dismissal. This argument is not novel for employees who have faced a disciplinary sanction after a substantial delay. The applicant rightly accepts that she bore the onus to prove that the Department plainly intended to abandon its right to discipline her. And while the Department’s dilatory conduct is to be deprecated, one thing is clear: the applicant was aware that her continued employment was predicated on the prohibition in Schedule 8 of the EEA which precluded the Department from implementing the sanction pending the decision on appeal. The arbitrator accepted the Department’s explanation on this score, and in the absence of any other indicator that the Department had abandoned its appeal, this argument is unavailing. It remains now to determine the remedy that this Court should grant in the light of its conclusion that the applicant’s dismissal was procedurally unfair. The LRA provides for a range of remedies in sections 193(1), 193(2) and 194(1). As section 193(2) of the LRA makes plain, the Labour Court or an arbitrator must require the employer to reinstate or re-employ the employee. The order to reinstate or re-employ must ensue as a matter of course unless any one of the four exceptions listed in section 193(2)(a) (d) are present. In that event, it would not be obligatory to order reinstatement or re-employment of the dismissed employee. The conclusion reached in this judgment is that the applicant’s dismissal was procedurally unfair owing to the extraordinary delay in instituting and concluding the proceedings expeditiously. On the other hand, section 193(1) vests the Labour Court or an arbitrator with the discretion to order the employer to reinstate or re-employ or to pay compensation to the employee. In Billiton Aluminium SA, this Court noted that, as a general rule, an appellate court must decide an appeal on the basis of the facts as they were at the time of the decision of the court of first instance. In view of the fact that that the applicant’s dismissal was found to be both substantively and procedurally fair, this aspect was not ventilated in the Labour Court. Given the paucity of the facts at the disposal of this Court, it is best to leave the question of remedy to the Labour Court which will be better placed to determine this issue having regard to all the relevant factors as the parties may desire to present to it. (iii) the applicant continued with her employment without any further blemish and the feasibility of reinstatement or re-employment. Moreover, there has been no suggestion that as a consequence of the applicant’s infraction, the Department suffered any financial loss. The list is by no means exhaustive. (d) both parties requested the appellate court to finalise the matter. As already indicated, the parties did not address the question of an appropriate remedy in their written submissions. Neither has this issue been canvassed in any meaningful way on the papers. Accordingly, it would be appropriate to remit this matter to a specialist court better suited to investigate the parties’ respective present circumstances and fashion an appropriate remedy accordingly. It remains to deal with the issue of costs. In labour-related disputes, the general rule that costs follow the event finds no application. Rather, costs are governed by section 162 of the LRA which provides that an order for payment of costs may be granted in accordance with the dictates of the law and fairness. it is my judgment that the conduct of the respondents is deserving of censure. An adverse costs order against the respondents would serve as an appropriate measure of this Court’s mark of disapproval of the respondents’ conduct. Before making the order it is necessary to address one final issue. This matter has had a long and tortuous history. The applicant was dismissed some seven years ago, on 22 June 2011. She has been embroiled in litigation since then seeking a remedy. Accordingly, the matter cries out for expeditious finalisation. The Registrar of the Labour Court is thus requested to enrol the case as a matter of priority for the determination of remedy. 3. The appeal is upheld with costs as against the first and second respondents. 5. 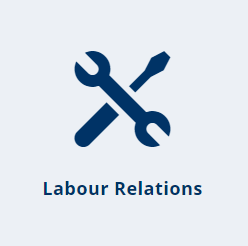 The matter is remitted to the Labour Court to determine an appropriate remedy.